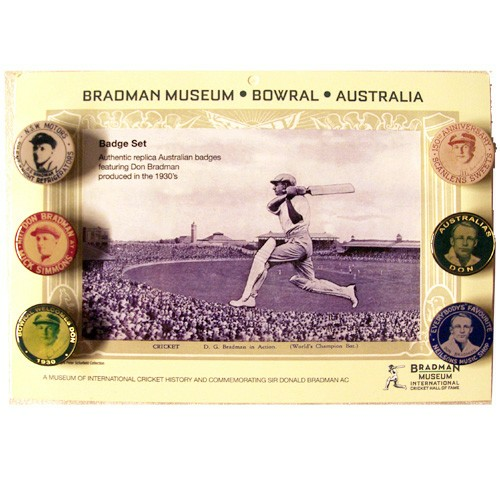 Authentic replica Australian badges featuring Don Bradman produced in the 1930's. These vintage replica metal badges are durable and versatile. They can be easily attached to shirts, jacket lapels, hats or bags. Each badge is approximately 28mm in diameter.